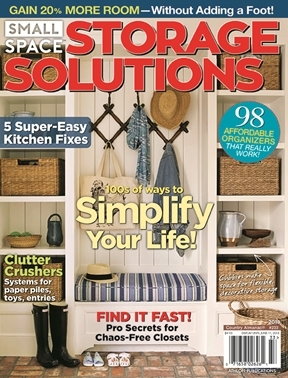 • Ways to Make More Space: Built-ins, book nooks and extra room under the stairs all add up to more storage. • How to Structure an Open Floor Plan: To designate separate areas for work and play, it’s all about getting in the zone(s). • Kid Stuff: Labeled cubbies, baskets and bins teach children to put their plush toys, board games, picture books and sports gear in the proper place. • Stress-free Closets: Clutter loves to hide here. Our pro secrets help you get the junk out into the open and under control.